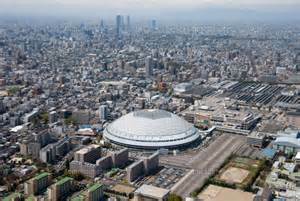 NAGOYA (Kyodo) -- Aichi Prefecture in central Japan will bid to host the 2026 Asian Games, with Nagoya expected to be the main venue, Aichi Gov. Hideaki Omura said Monday. If Aichi wins the bid to host the 20th summer games, it will be the third time for the event to be held in Japan following Tokyo in 1958 and Hiroshima in 1994. The Aichi prefectural government plans to choose and arrange sports fields and other facilities in fiscal 2016 and submit an application to the Japanese Olympic Committee to host the event. "As it is a big event, we should clarify the situation at first," Omura said at a press conference in Nagoya, adding he also wants to take the opportunity to show the world Japan's magnetically levitated train technology. Central Japan Railway Co. plans to launch Japan's first maglev train service between Tokyo and Nagoya in 2027. Omura said he may request that the games be delayed by one year to make it in time for the maglev train service launch. The Olympic Council of Asia will decide on the successful bidder for the games around 2018. The Asian Games, also known as Asiad, are Asia's biggest multisports event featuring summer and winter events, which are both held every four years among athletes from all over Asia.